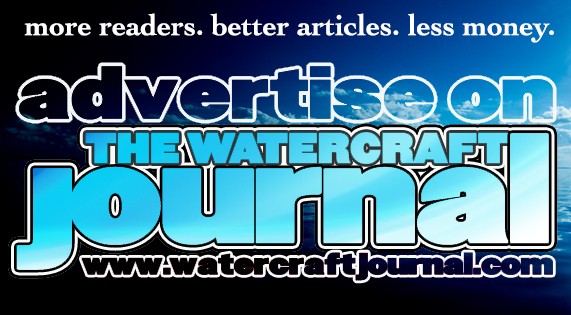 Broward Motorsports Racing Launches 2019 Tax Relief Sale | The Watercraft Journal | the best resource for JetSki, WaveRunner, and SeaDoo enthusiasts and most popular Personal WaterCraft site in the world! 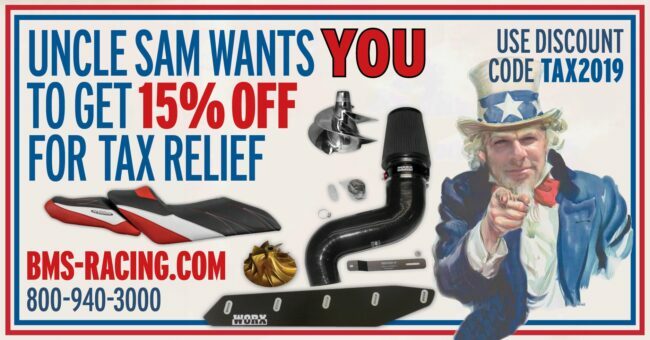 Broward Motorsports says Uncle Sam wants to hook you up with a 15% tax break on PWC performance parts! 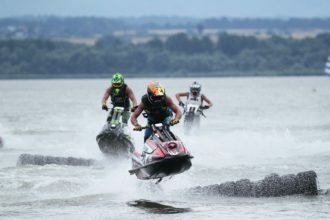 The sale includes parts for Sea-Doo, Yamaha, and Kawasaki. Hurry and head to Broward Motorsports website to get your savings before the sale ends. When checking out, use discount code TAX2019. Free shipping is available throughout the continental United States on orders over $125. A huge selection of products is available. The shop has everything you need whether, you only want to upgrade your PWC or replace worn parts. Everything from spark plugs to intercooler kits are available. Hit the dropdown menu for tons of options to find what you’re looking for or simply use the search engine feature. Some of the parts are pricey and now is the time to get them at a decent pre-season discount, especially if you received a sweet tax refund that’s just itching to leave your pocket. Below is only a sample of products to pique your interest. 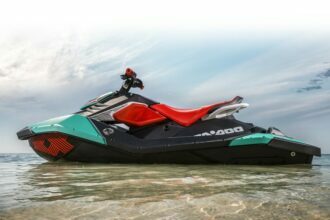 Fifteen percent off of a WORX Racing Performance Intercooler for a Sea-Doo 300 will come in handy if you’re looking to upgrade your machine. Maybe you ride a Yamaha SHO/SVHO and need to rebuild your Supercharger. Broward Motorsports carries the complete service kit, including the bearings and plates that aren’t available to purchase separately. Simply want to increase your Kawasaki Ultra 300/310 speed by a 1 or 2 mph? 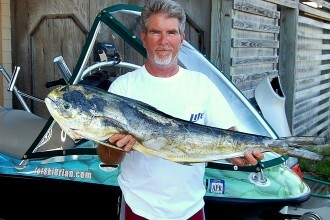 Broward Motorsports carries an anodized pump wedge, which will lift the bow giving you that extra bump in speed. It’s an inexpensive easy to install upgrade that also allows for better handling. Check out the site for a complete rundown of performance products. 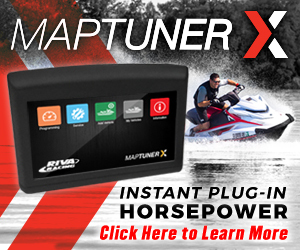 More than a catalogue’s worth of products is available for Sea-Doo, Yamaha, and Kawasaki. Hurry and don’t miss out on Broward Motorsports Tax Relief Sale!